Complimentary hotel parking with the Andaz valet services. Available for private and semi-private events for 2-160 guests. Please contact us for further information. Morimoto's contemporary Japanese menu infuses traditional dishes with Western ingredients and preparation techniques. His seasonal and ever-changing selection of raw fish preparations will feature the freshest seafood available as well as locally grown fruits and vegetables from supporting farmers. Morimoto's signature offerings include Toro Tartare, presented in a shallow wooden tray with condiments including crème fraîche, wasabi, avocado, nori paste, chives, crispy rice, and dashi-soy. Tuna Pizza made with raw tuna, anchovy aioli, and jalapeno; Morimoto Sashimi, a terrine of seared Toro, smoked salmon, barbequed eel, tuna and Hamachi served with five different sauces in pipettes. There are lots on the menu to choose from, but a few items where sold out and was only advised by out server when I tried to ordered one of the items. Our main dish was the $90 sushi platter. The ingredients were fresh however as a sushi enthusiastist (by far not an expect but definitely had devoured enough to know a little), the miss on the meal was the rice. The rice left a sour taste therefore made consuming and enjoying the pieces difficult. About halfway through the 30 pieces I was ready to throw in the towel. I did what Japanese chefs would consider offensive, I consumed just the fish and discarded the rice. This was the reason for the low rating - although basic, rice is and should always be the star of sushi. Service was great our waiter was knowledgeable and friendly as were the bartenders who served us while we waited to be seated. We had the Wagu steak with salted potatoes, and eel and shrimp tempura sushi rolls. Everything was delicious. We a great view of the sunset as we dined which topped off an excellent dinner. Terrible service! Waited 40 minutes only to have my cocktail, wine parring and first course all arrive at once. Subsequent courses wine parring came late every single course! No apologies or amends offered. For the money spent I could go to Mamas Fish House TWICE and have the proper service. Fantastic but you pay for fantastic! Toro amaaaaazing . Sublime local sushi. Drinks fantastic. Excellent. You will not be disappointed. The toro is amazing. Octopus appetizer is fabulous. Great selection of local fish. We were really excited for this meal as it was the last of our vacation and had dined previously at Morimoto in NYC. 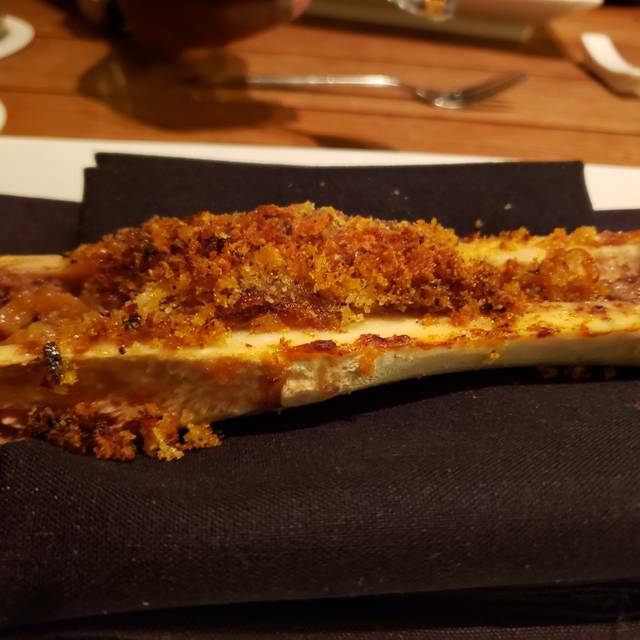 We could not have been more mistaken as the quality of the food was akin to a suburban sushi chain (separate of a pork belly appetizer which was excellent), not what we would have expected from a restaurant Morimoto would attach his name and brand to. Unfortunately the bad news doesn’t stop there. The service was slow and pushy to sell additional food and upcharges. While ordering, our server told us we hadn’t ordered enough food and convinced us to get an additional 2 dishes that were unnecessary and left untouched. We waited well past our reservation time for our table while we watched numerous tables set and ready to go, and once we were sat, it took almost an hour for us to get our first appetizer. Overall, this was an incredibly disappointing and expensive experience. 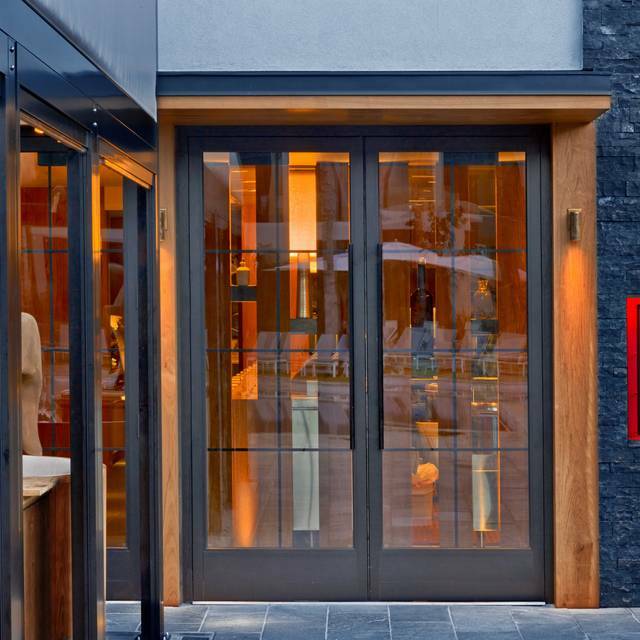 We love Morimoto’s, but it is very pricey for those who have never been. I only wanted to make comment on the sashimi (12pieces, tuna, salmon and hamachi) we paid $72.00 and it was good at best and went to Humble Market kitchen at the Wailea beach resort, Marriott Maui last night and had their 12 piece sashimi (tuna, tuna taki, salmon and hamachi) and it was a bigger portion, tasted so much better ( so much so, we ordered a second order) for only $32.00!!! I can’t give enough praise to Humble market for great food and service! Sorry, Mortimoto’s we found a new love and may not come back..
Great experience with outdoor dining, great service and music of the luau as well. Great food and efficient, professional service. Nice atmosphere. The food was great but the service was poor and special requests that were coordinated were not accommodated and fotgotten about restaurant. When we arrived they did not care to try to accommodate. Do not go for a special occasion or with any special requests. For this price it is probably not going for an everyday meal either. Wonderful service and great food!!! Came for honeymoon dinner. Seated quickly for our 6:30p reservation -indoors but right next to where the restaurant opens up to oceanview so we had a wonderful sunset. Waitress Sarah was very personable and answered (or found the answers) to all our menu questions; checked in with us the perfect number of times. Spritzers and edamame came to table w/in 5 min of talking to Sarah. Then ordered chef choice sushi (10 nigiri + 1 roll), o-toro nigiri, curry snapper, and A5 wagyu steak, followed by sorbet dessert. Among the freshest sushi I have ever eaten. O-toro, and wagyu steak melted in our mouths. 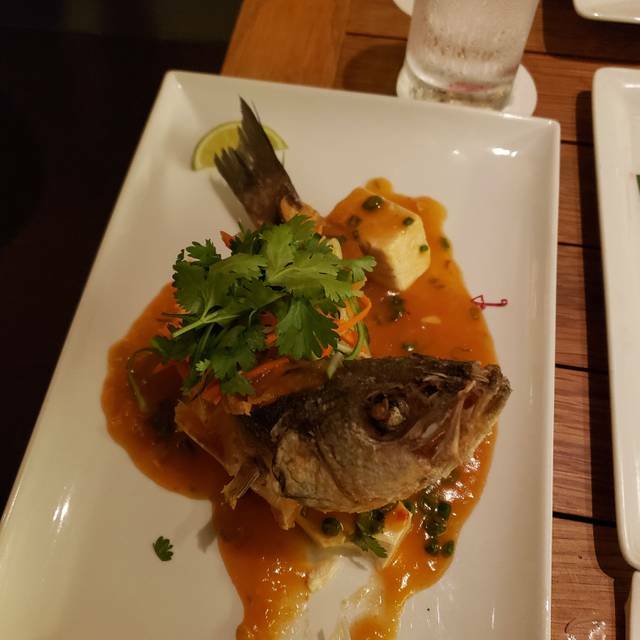 Curry snapper was so soft, wonderfully flavored. Sorbet came as set of yuzu, papaya, and coconut and was a PERFECTLY LIGHT finish to the meal. 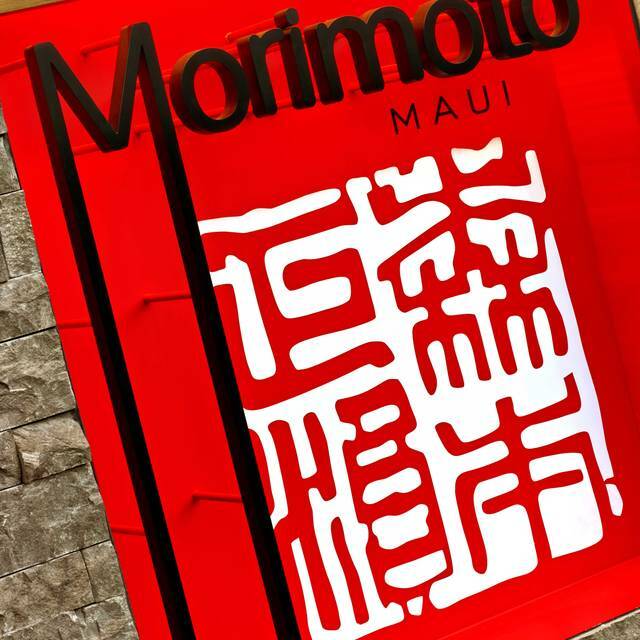 Overall an INCREDIBLE dinner experience at Morimoto Maui; we left full and very happy. Wallet also happy since the above selections still cost less than two omakase; next time we return we will likely do omakase since everything we had this first time was so good. Great meal. Ordered the 9 course omakase, and was amazed. But be prepared to spend 3 hours for it. Worth it though. Amazing lunch. Only complaint was the bartender was very loud. The food was outstanding best meal of the trip beat Merrimans & Lahina grill. Every time I’m in Maui I take my guests to Morimoto’s. The ambience is romantic with an ocean view. The food is delicious. My favorites are Braised Black Cod and the Ishi Yaki Buri Bop which is Yellow Tail on rice cooked on a hot stone bowl at your table. Mouth watering! The drinks are good and strong!!! Enjoy! This was a disappointing experience. I have eaten at Chef Morimoto’s establishments in New York and Napa and this one is not the same. We ordered the 9 course Chef’s tasting menu with Chef Morimoto’s cold Sake. His Sake was very good. The tasting menu was good but not great. The worst part of the whole experience was the service. The waiters were nice but did not know how to serve. They were very rough when placing silverware and dishes and when clearing the table it felt like I was at a very low end restaurant. There was no etiquette by the staff. They were just rushing and it made for an uneasy experience. Lots of banging the silverware on the plates as if no one patrons were there while cleaning up. I met Chef Morimoto in New York and wow what a warm sincere person. 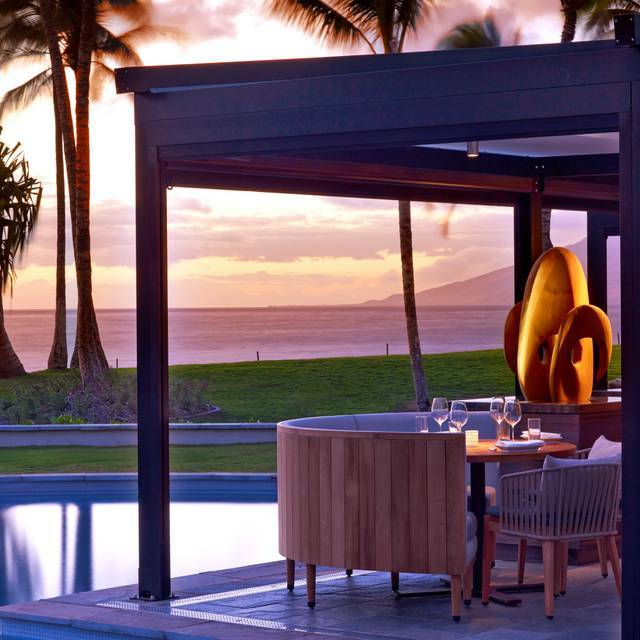 I really wanted to enjoy this experience and I am open to changing my review if I come back for another try on my next trip to Maui, but there needs to be a re-education of the staff. Was looking for a nice outdoor table for our anniversary but were told outdoor seating is for larger parties. Inside seating was cramped and the tables are so long you can’t hear the person across from you. Food was excellent but overpriced, even by Maui standards. $80 for a filet and everything is a la carte? Dessert was comp’d for anniversary, which was nice. Limited GF choices. On the fence as to whether or not we would return. The food was really great. Comparable to its sister location in Napa, Ca. We felt a bit like our server was just trying to steer us to expensive dishes and not listening to our preferences. But the food and location were fantastic. Exceptional! We will be back. 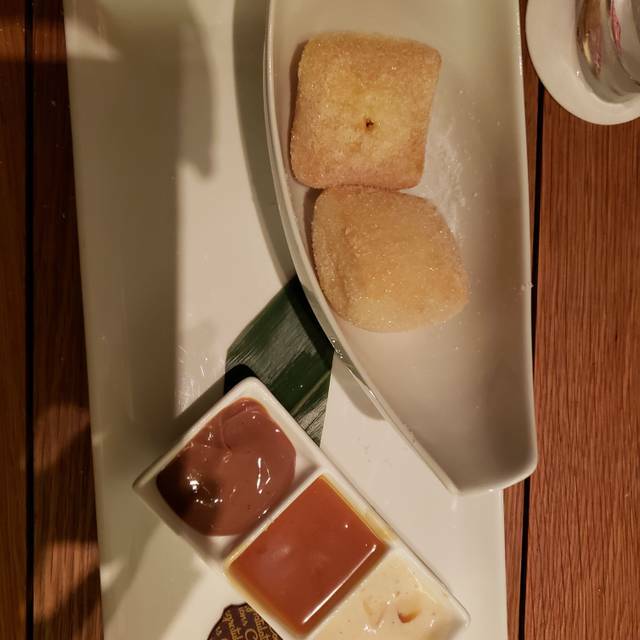 We had an absolutely phenomenal meal at Morimoto Maui. The service was excellent as was the food and cocktails. The oceanfront location is stunning as well. We had a hard time not coming back the next day to try more of the menu and for the view. If you are on the fence about checking this place out - just do it - it is worth it! We had the omakase dinner. While the food was all exquisite the dinner lasted 3hrs with long waits in between very small portions. In the end we were full but took dessert to go. You have to associate the cost of the omacase with the experience, if not your probably better off ordering from the menu. Excellent food and service! Petra is a wonderful server. The flavors were bold and perfectly balanced. The meal was staged perfectly. There was a lot of aloha from the hostess to the chefs. I will definitely be back. While one hostess was very nice and diligently at work, the remaining staff was inattentive and confused. The atmosphere was chaotic. 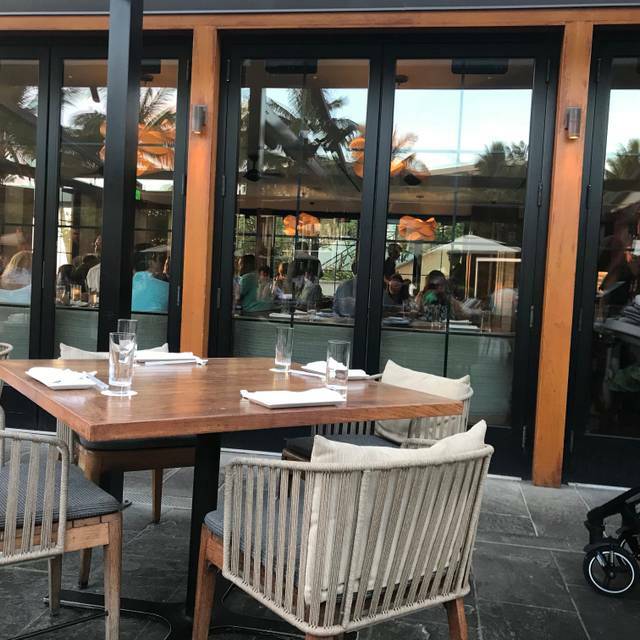 After being seated for 15 minutes, we were not greeted by our server and seeing how chaotic the service at the surrounding tables was, we decided to leave and had an amazing dinner and service at Ka’ana Kitchen. The sushi is good but the entrees we had were covered in sauce and really sweet. We had a fish entree with jasmine rice and the rice was literally swimming in the sauce. It’s so unnecessary to douse such nice food like good fish and amazing sides in sweet sauces. It’s fine on it’s own. Amazingly well executed tasty food. The best meal that I had in Maui. Birthday. Our server at the bar was super busy and tried his best to accommodate us. To top it off , the origiNal hostess came up to us, 30 minutes in and said they could now seat us outside. . What happened to the hour and 45 minute wait? We opted at that point to stay where we were, which seemed to annoy the hostess even more. Overall, while the food was delicious, as usual, the experience was terrible! Actually, the worst experience that I have ever had at a fine dining establishment. Delicious healthy meal we very much enjoyed! What a disappointment! Don't waste your money here. 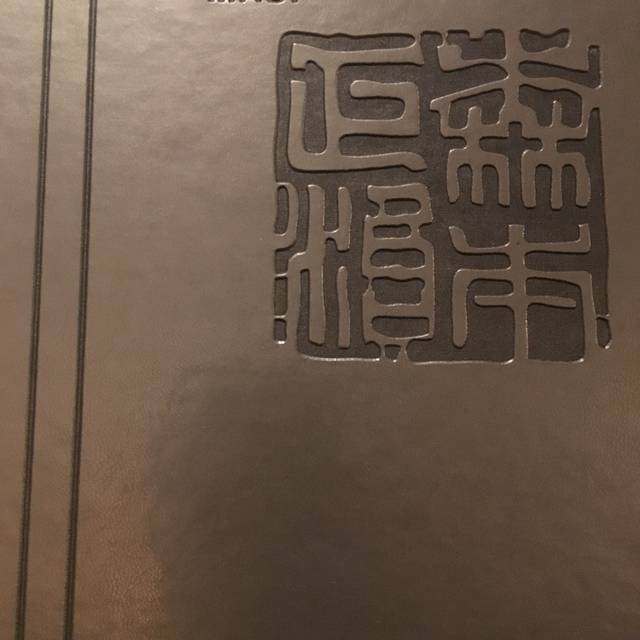 I have been to several Morimoto restaurants and have been pleased up until now. On this occasion, it seemed we were "set aside" from the get go. We were told that we were too early for our reservation even though I could see the table was open. After waiting 20 minutes to be seated (we were only 5 minutes early), we got started. They failed to tell us that two items on the menu were no longer available until we were ready to order. This created another delay that could be avoided. The topper was the meat preparation. We had requested medium temperature on our steaks. They were served rare. After sending it back 4 times (seriously, 4 times), it still came back prepared rare. After I told the server that "we just give up", his only response was "I guess we just can't prepare steaks today". I feel at this price point, that kind of service was despicable. No apologies from the chef or management! After taking the meal away, they were gracious enough to not charge us for that meal! What an honor! The final blow was they still felt free to add 20% gratuity for a party of 6. Save your money and go to a burger joint, you will be more satisfied. 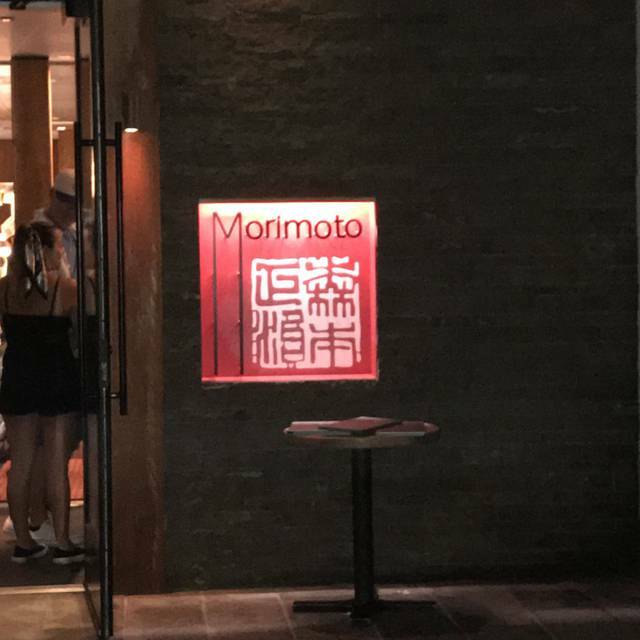 Sadly, I can't bring myself to go back to the Morimoto's in Chicago now where we live. restaurants in our travels....never disappoints! Service was very disappointing - Joshua our server wasn't very helpful. The restaurant was loud as there was a loud event taking place right outside the restaurant. Our server was great and the food was excellent.